British Triathlon and Swim England coach offering remote 1 2 1 triathlon coaching and also in person 121 and group triathlon and swim coaching including in depth swim analysis in the Bromley, Lewisham and Greenwich areas of London or further afield if required. British Triathlon L3 coach and Swim England assistant coach. One of a select group of coaches to graduate through the BTF High Performing Coach Program. 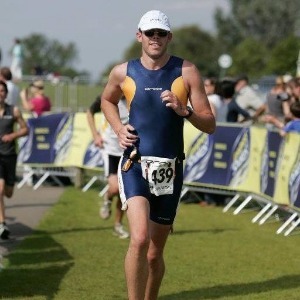 Have been involved in triathlon as an athlete and coach for nearly 15 years. Coach high performance junior athletes within London and children and adults of all levels locally and remotely. I am an Accredited Adviser with UKAD and can give advice on negotiating the anti doping minefield. Have completed BTF CPD's in static bike coaching and nutrition and am a qualified first aider. I have taken the NSPCC child protection in sport qualification and have full enhanced DBS through British Triathlon. My coaching philosophy is to create a positive environment and give athletes ownership of their own destination and to facilitate that with a structured individualised and progressive plan based on detailed feedback between athlete and coach. Athletes health and well being is always the main priority. Success. Coach Carl Botten has been notified of your message.